Challenge is on HOLD for summer 2009. It will be back in '10. This is an intense adventure taking 12 days to travel through approximately 300 km of wilderness. This is a trip about good times and pushing yourself! We have similar routine to the other OT trips on Sunday, including getting our personal stuff to 30L, and going through the basics of the ORCKA Safe Canoe Program which covers basic canoe and rescue skills which we will need for our trip, including canoe over canoe rescues. Monday morning after a good breakfast we begin the first leg of our long journey, getting to the take in. The next 11 days are full of adventure. With this longer trip, we try and get in a day off to wash clothes, and kick back and relax and cook some more intensive meals. 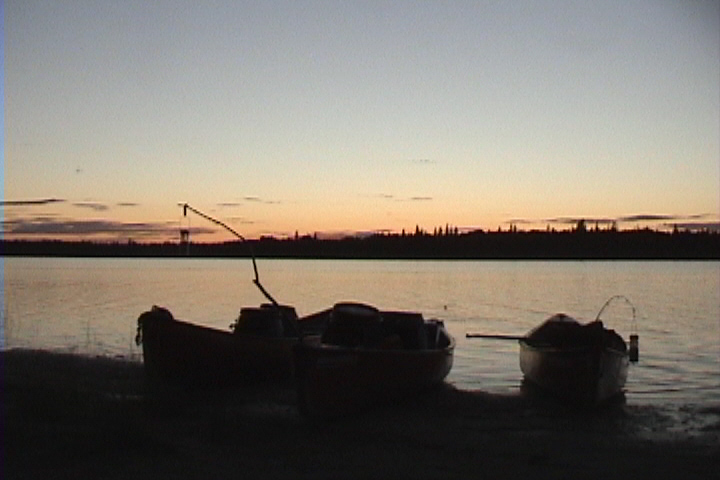 Refreshed, after a day off, we get back in the canoes and continue on to the take-out. Friday is the last day on the river.... we shoot to be at our take-out for noon, to be back to camp to get our stuff cleaned up and dried out before supper. After supper we hope to get in on some recreation at IAWAH, and then sit down with some popcorn to enjoy a slideshow of the week past. With many of our programs if you are interested in ORCKA Flatwater certification, A,B,C or D, let our staff know ahead of time that we can prepare for that.